There’s been a sophisticated continental air recently at 101 Film Towers. In Podcast 038 we discussed the French film Hidden. We then took a Scandinavian turn with Podcast 040 with a look at Let The Right One In. In this week’s podcast we once more don our stripey jumpers, berets and onions for a return to trip France with The Triplets of Belleville . 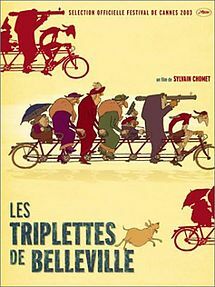 The Triplets of Belleville, or to give the film’s French title, Les Triplettes De Belleville (it was also called Belleville Rendez-vous in the UK for some mysterious reason), tells the simple tale of a kidnapped-by-the-French-mafia-for-a-bizarre-gambling-ring Tour De France cyclist and his caring grandmother’s efforts to find him. Along the way we encounter a patient pedalo salesman, a large but loyal dog called Bruno, frogs, and the titular Triplets. It is very, very, very French. It also manages to be very French with hardly any spoken dialogue. It is almost an animated silent film, with the main characters only speaking right at the beginning and end of the story. Neither Lewis or I had seen the film before, and it was recommended to us by Jason and Ms Rainbow Fudge (both of whom have given previous recommendations, thanks guys! ), and we were definitely charmed by its gentle pacing, interesting animation and bizarre storyline. Listen to the podcast to hear us saying more or less that, but drawn out over 20-odd minutes and with a trivia quiz thrown in! 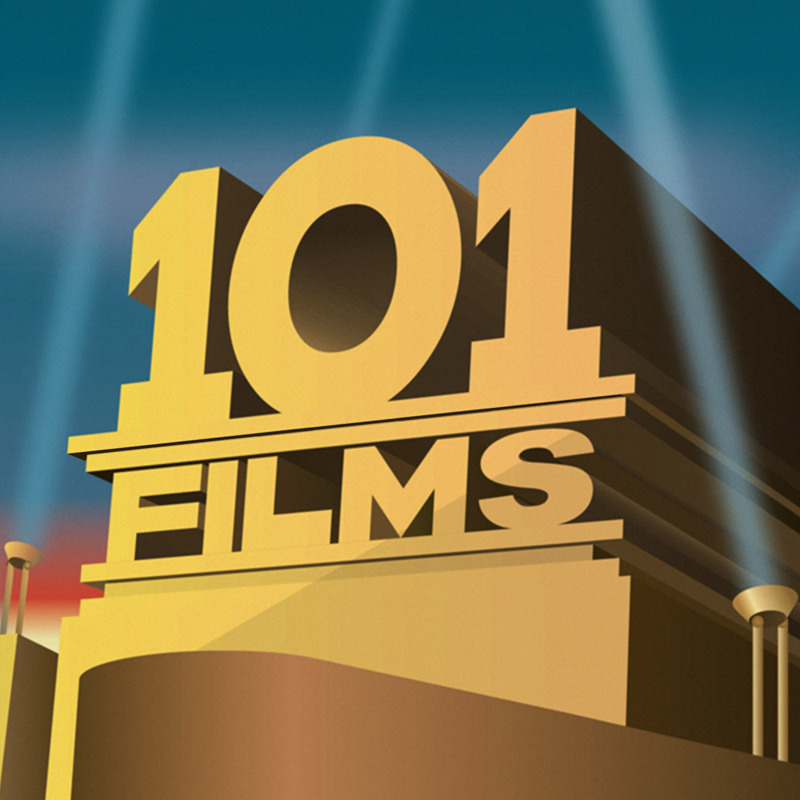 Our Secret Sponsor for this week is Film Geek (@geek_film) who gives 140 character film reviews. Check ’em out! If our review has piqued your interest in the film, you can buy the Triplets of Belleville DVD from Amazon by clicking here (and we get a little bit of cash if you do – thanks in advance).